Maxine Thomas is vice president, secretary, and general counsel for the Kettering Foundation. Thomas directs Kettering projects in higher educa­tion, community leadership, and the relationship between citizens and officeholders. She also serves on the group that oversees the operations of the foundation and has been a member of the Kettering Foundation task force on China since 1993. 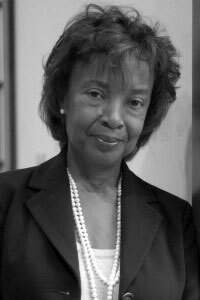 Before coming to Kettering, Thomas was associate dean of the University of Georgia School of Law, where she also served as associate and assis­tant professor. She was previously on the faculty of the University of Oregon School of Law. From 1973 to 1976, Thomas was assistant attor­ney general for the state of Washington. Thomas received her BA and JD from The University of Washington.